On a stretch of land in Kenya, the last rhino for miles was killed 25 years ago. Eastern black rhinos, murdered by poachers for their horns, have not set foot in the 100-square-mile native habitat since, and their numbers worldwide plummeted by 98 percent between 1960 and 1995 because of hunting and poaching. But this week, that began to change. 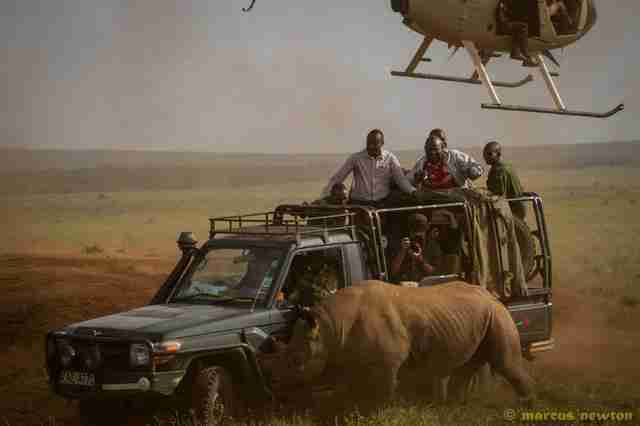 The critically endangered black rhinos are now returning to the land they once called home thanks to a joint effort between the Northern Rangelands Trust , the Lewa Wildlife Conservancy and Kenya Wildlife Service. 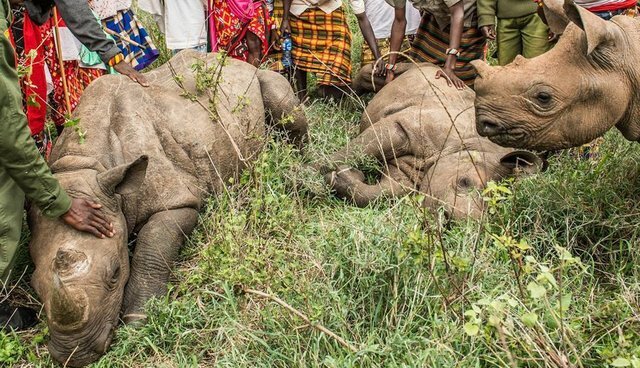 Twenty rhinos have been selected to repopulate their native habitat in Kenya, and two rhinos have already been successfully moved to the freshly established sanctuary. "The rhino has not existed on that land in over 25 years," Wanjiku Kinuthia, communications officer at Lewa, told The Dodo. 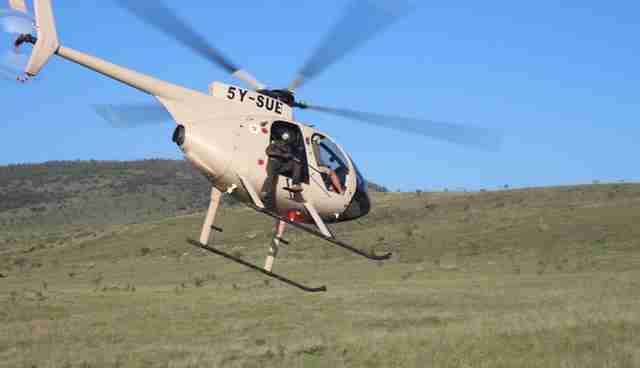 "It has been a dream of Lewa's and the Northern Rangelands Trust to reintroduce the rhino to its previous homeland in that area. "The rhinos will be guarded 24/7 by community rangers who have been trained in rhino protection and they will also have support from nearby anti-poaching units. Lewa Wildlife ConservancyThis is the first time in East Africa a local community will take responsibility for the protection and management of the black rhino, signaling "a mind shift in Kenya's conservation efforts," a press release from Lewa announced:This pioneering move demonstrates the Government of Kenya's confidence in the local community, and materialises the promise to support community-based conservation initiatives as provided for by the new Wildlife Act, 2013.Lewa Wildlife ConservancyA lot of people had to come together to right the wrong done to these animals. 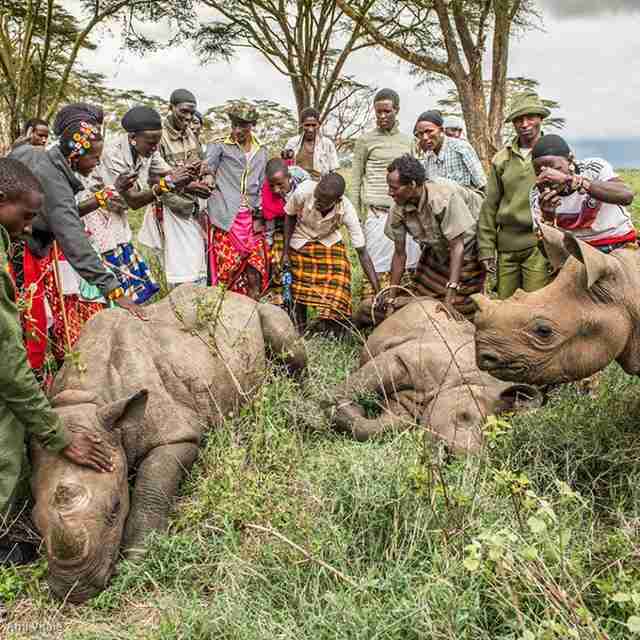 We thank them for being heroes for rhinos.Facebook/Lewa Wildlife Conservancy via Ami VitaleLearn how you can be a rhino hero here. 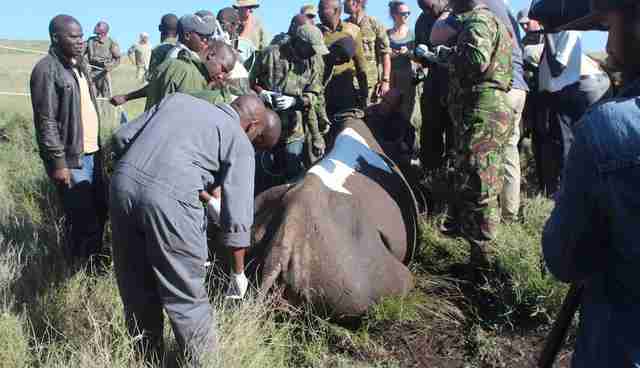 "The rhino has not existed on that land in over 25 years," Wanjiku Kinuthia, communications officer at Lewa, told The Dodo. "It has been a dream of Lewa's and the Northern Rangelands Trust to reintroduce the rhino to its previous homeland in that area." The rhinos will be guarded 24/7 by community rangers who have been trained in rhino protection and they will also have support from nearby anti-poaching units. This is the first time in East Africa a local community will take responsibility for the protection and management of the black rhino, signaling "a mind shift in Kenya's conservation efforts," a press release from Lewa announced:This pioneering move demonstrates the Government of Kenya's confidence in the local community, and materialises the promise to support community-based conservation initiatives as provided for by the new Wildlife Act, 2013.Lewa Wildlife ConservancyA lot of people had to come together to right the wrong done to these animals. We thank them for being heroes for rhinos.Facebook/Lewa Wildlife Conservancy via Ami VitaleLearn how you can be a rhino hero here. This pioneering move demonstrates the Government of Kenya's confidence in the local community, and materialises the promise to support community-based conservation initiatives as provided for by the new Wildlife Act, 2013. A lot of people had to come together to right the wrong done to these animals. 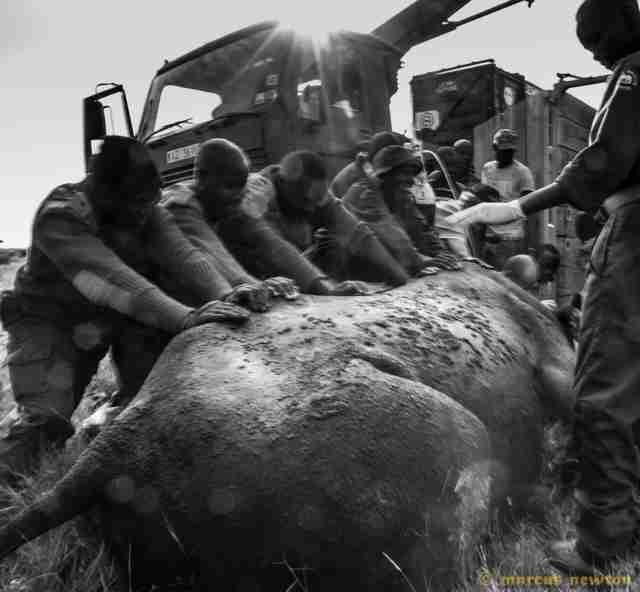 We thank them for being heroes for rhinos. Learn how you can be a rhino hero here.